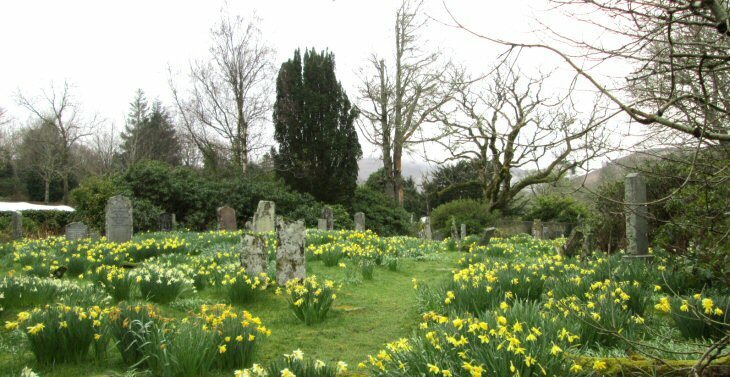 Skye Gravestones | Kilmarie Burial Ground, Strath. To access this small burial ground, travelling from Broadford, turn left just over a bridge at Kirkibost. The burial ground is hidden behind a high wall just as the road turns to follow the shore. Added by Morag Cullen on 24 January 2018.